The elections to the Gulbarga Lok Sabha constituency (SC reserved) is turning out to be a fight between the Dalits and Banjara community. The Congress has fielded veteran Mallikarjun Kharge (Scheduled Caste-Right Hand) while the BJP contestant Umesh Jadhav belongs to Banjara community. Jadhav hopped to the saffron party from the Congress only recently. Since both these communities are strong here, the Congress and the BJP are attempting to either garner or split these votes. It is being projected that SC-Right Hand community is with the Congress while the Left Hand community is with the BJP. In order to placate the Left Hand community, the BJP had nominated K B Shanappa, a Left-Hand community strongman, to the Legislative Council as well as the Rajya Sabha. He was billed as a leader alternative to Kharge. However, in the changed political scenario, Shanappa joined Congress and has been campaigning for Kharge. He even accompanied Kharge during filing of nomination papers – ostensibly to convey the message that both Left and Right Hand communities are with the Congress. To make good the ‘loss’ due to exit of Shanappa, the BJP has roped in retired chief secretary, Ratna Prabha – also of the Left Hand community. Ratna Prabha had served as deputy commissioner of Bidar and Raichur districts and also as regional commissioner of Kalaburagi division. By bringing in the former bureaucrat, the BJP plans to retain the votes of Left Hand community. 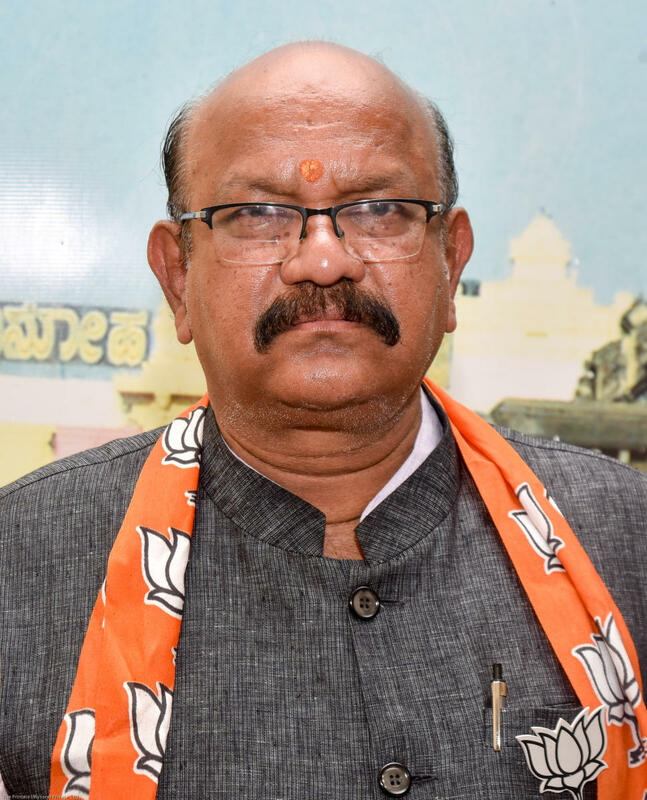 As a strategy, the BJP has appointed MLC, N Ravikumar, as the in-charge of Gulbarga Lok Sabha constituency, Ravikumar, also of Left Hand community, has been camping in Kalaburagi to ensure the victory of party candidate. On the other hand, attempts are also being made to draw and divide the votes of Banjara community. BJP candidate Umesh Jadhav has been making an emotional appeal to the people saying not a single person from the community had been made Lok Sabha member. He has dragged the name of Banjara religious guru, Ramarao Maharaj, saying it was the desire of Maharaj that at least one person from Banjara community should be a Lok Sabha member. Babu Rao Chavan and Subhash Rathod, who were with the BJP and had nursed the ambition to contest the elections on party ticket, have joined Congress. They are miffed with the BJP fielding turncoat, Jadhav. Revu Naik Belamagi, another Banjara community leader is now with the JD(S). With Kharge being the Congress-JD(S) coalition candidate, Belamagi is gaining prominence during joint campaign. The Congress plans to divide Banjara votes through Belamagi.